Cities the world over and in particular developing countries suffer from uneven development and inequality. This is often coupled with the view that these inequalities constitute unfortunate anomalies. 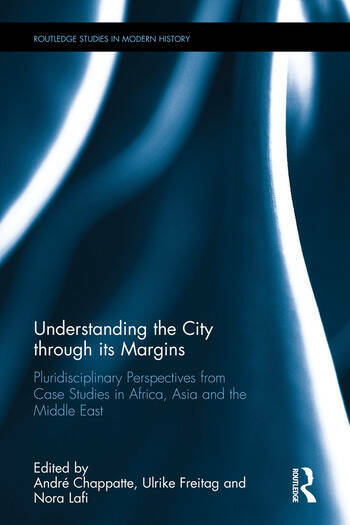 In contrast, this edited volume draws out the ways in which the city has not been able to exist without its margins, both materially, ideationally, and socially. In this book the margins are, first, the mirrors of the city and, second, a fundamental route through which various centers can legitimate and sustain their power. Contemporary case studies are compared to a number of those from history with the accent on Asia, Africa and the Middle East, and engage with the underlying theoretical questions of what is the urban margin and what is marginality in urban society and spaces? André Chappatte, Ulrike Freitag and Nora Lafi are all at the Zentrum Moderner Orient, Berlin, Germany.